In this interview, AZoM talks to Lukas Maerk, CEO of Ionicon, on the company's history how the field of PTR-MS has developed and their contributions to the field of analyses and what the future holds. We provide extremely sensitive solutions for real-time trace gas and aerosol analysis based on mass spectrometry. We are pioneers and the world’s leading company in Proton Transfer Reaction – Mass Spectrometry (PTR-MS) - a technology invented by the founders of our company at the University of Innsbruck in Austria. We also produce our own modular time of flight mass spectrometers. The “ioniTOF”, a core component of our renowned PTR-TOFMS series, and it is now also available for research and OEM customers. Moreover, we create numerous derivative products such as Atmospheric Pressure ionization (APi) – TOF, the proprietary Selective Reagent Ionization – Mass Spectrometry (SRI-MS) and various other Chemical Ionization Mass Spectrometers (CIMS). We also sell automated VOC monitoring systems to the semiconductor industry and work on solutions for various application areas where robust, one-button, yet extremely sensitive real-time trace analyzers are needed. Last but not least we have an application lab where we perform tests, contract analysis and analytical services for customers from all over the world who benefit from our experience and the skills of our dedicated team of scientists. What are the Key Points in IONICON’s History? In 1998 the company was founded with the first part-time employee and the sale of our first quadrupole-based PTR-MS. This was the starting point of an unprecedented success story. Ten years after everything began we had grown considerably but still, in 2008 we had just 1/3 of our current staff. In 2012 we celebrated 200 PTR-MS systems being built, and in late 2016 we reached another major milestone: our 300th PTR-MS instrument being sold, and not even two years later we had delivered more than 350 mass spectrometers. Now, on our 20th anniversary in summer 2018, we are proud to have more than 35 specialists working for our customers and our future. What Contributions Have You Made to the Field of Analysis? First and foremost, we introduced an extremely sensitive technology which allowed us to analyze VOCs on the spot, without sample preparation and in real-time: PTR-MS. This unique method also outperformed competing technologies such as SIFT-MS or IMR-MS with its unmatched low detection limits and utmost sensitivity. This not only made the often cumbersome and lengthy analysis of samples simple, intuitive and fast, it also made capturing fast dynamic processes possible for the first time. Figuratively speaking, users of traditional gas analytical methods such as GC-MS take a detailed snapshot image of their sample, whereas PTR-MS makes a high-definition movie of whatever trace organic compounds come through their inlets. The PTR-MS technology was the starting point, but during recent years we made this technology available in various analytical instruments, tailored to many market areas. From entry-level to ultimate performance, from fundamental research, over to applied science and automated industrial process monitoring. While a couple of hundred ppbv was a market leading detection limit in our first quadrupole based analyzers back in the 1990s, the current generation of systems achieve limits of detection in the ppqv-range, six orders of magnitude better, and this is with the additional benefits of high-resolution time of flight mass spectrometers. How Do Your TOF Devices Help Researchers Achieve Their Goals? Nowadays, time of flight mass spectrometers (TOF-MS) form the basis of nearly all our analytical instruments. A TOF has many advantages over traditional quadrupole mass filters such as a high mass-resolution which helps to identify unknown species or to separate substances that a quadrupole would see as one single peak, hence risking missing important data. In addition, a TOF analyses the whole mass range in a split second whereas a quadrupole only scans a single mass in the same amount of time, which makes it rather slow. Critical processes can therefore be monitored with a much higher time-resolution using one of our TOF systems. Thus, for researchers, a TOF based instrument has many benefits and helps to get more insight from the sample in less time. At the beginning we intended the TOF, which we developed and produced ourselves, to be used in our own products such as PTR-TOF instruments for trace gas analysis, ion detecting APi-TOF or automated real-time monitors such as the “AMC-Monitor”. But our success with growing production numbers and continuous development allow us to offer our flexible, modular, upgradeable TOF to researchers and other companies as an OEM for building their own analytical instruments. Our TOF customers benefit from a platform which they can customize together with us, upgrade to higher-resolution mass spectrometers or couple with different interfaces and ion sources. What Developments Have You Made to Your Products? We continuously develop our technologies and products. About half of our staff are, in one way or the other, working in R&D. Since the introduction of the first PTR-MS we drove a constant evolution to improve these systems. However, a milestone certainly was the development of our own TOF-MS. This made us completely independent from other suppliers, allows us the flexibility to quickly adapt our analytical solutions to meet new challenges and reach new markets. We have also extended our knowledge-base to various ion-transport and focusing systems like hexapole ion-guides and ion-funnels. These systems allow us to reach even greater sensitivities than before. I would like to mention two further developments: The first is “CHARON”, an aerosol sampler for PTR-TOFMS that extends the analysis of organic compounds in the particulate phase. We now have the most versatile real-time analyzer for trace organic compounds, in both the gas and particulate phases. 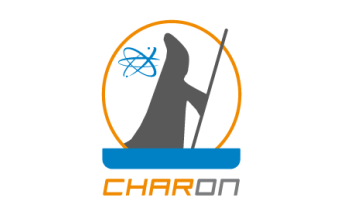 CHARON has already scored two innovation awards in 2017 and 2018, respectively. The other key development we call “AME”, which is short for automated measurement and evaluation. In essence, it is a software platform that automatically measures and evaluates mass spectra - a job that is normally done by scientists. This software extracts maximum information, which is then used to identify and quantify known species continuously and in real-time. Unlike other suppliers we combine all information within especially developed algorithms to yield a maximum in specificity and highly accurate results. That’s the basis of our rapidly growing success in industrial monitoring markets. What Can Customers Expect When They Use IONICON Products? We have more than 20 years of experience in ion chemistry, mass spectrometry, analytical instrument development and rendering services to our clients. But for our customers other aspects are probably just as important in addition to the best possible performance, the most recent technologies and market leading positions in our core businesses; reliability, robustness and excellent customer support which we pride ourselves on since our company’s inauguration, is what often really matters. We know how crucial it is to support a scientific measurement campaign exactly when it happens, without delays or lost data, and to work with close to zero down-time when our industrial clients need our analysis equipment for their production processes. We send out replacement parts immediately when they are needed and help via remote access sometimes even in the small hours – our customers all over the world might still have important work going on after all. How Do You Outperform Your Competitors? We are a relatively small company, but we have excellent, highly skilled and experienced employees and work well in niche markets. Our competitive advantage comes from being at home both in academic research where we continuously strive for utmost performance and new technologies, as well as in industrial monitoring applications where automated analyzers need to be robust, reliable and straightforward to use. As a company we have both of these markets in our DNA and our products incorporate the best of both worlds. We serve them with passion and stay ahead of others by continuously investing in R&D and new business development. We have lean processes that allow us to quickly react to any new trends that we spot. Our company is lucky to have a unique combination of more than 20 years’ experience in highly sophisticated real-time trace gas analyzer development, based on ion molecule reactions which cannot easily be copied. Moreover, we also develop and produce time of flight mass spectrometers which makes us really independent, contributing to many new product releases and custom air monitoring solutions for the industry. The people in our company - the team - is what really makes the difference though. We have a unique approach towards customer support where we treat each and every inquiry with high priority and dedication, where most of the time someone with a Ph.D. in physics acts as point of contact, and that makes a difference to our clients. We also organize training events, user-days and even an international conference together with the University of Innsbruck to help cultivate a vibrant community. Where Do You See the Future of Analysis Moving Towards? There is always room for more performance, more sensitivity, lower detection limits or higher mass resolving power. Also, compactness and lower energy consumption is essential in some applications. The ultimate goal of these improvements is the provision of more real-time information from experiments or processes with less effort for the users. To accomplish this, new technologies will be coming up in new, unforeseen combinations that need to be accompanied by advances in software, such as lean user-interfaces and automated, intelligent data evaluation procedures. Moreover, I foresee that the rapidly growing market of real-time trace analysis is spreading from one application field to the next and from industry to industry. This allows for specialized high-tech companies like ours to elaborate new solutions for users who still rely on traditional, slow and complicated analysis methods. I invite everyone who reads this to think about the benefits of having access to dynamic, real-time and high-resolution data for their processes, or to translate the speed of our analyzers into increased sample throughput and lower costs per sampling point through additional multiplexing possibilities. We can consult with you and offer insights that might give you a competitive edge, so don’t hesitate to contact us with your analytical monitoring challenge! Where Can Our Readers Go to Find Out More and Keep Up to Date? I suggest visiting our website at www.ionicon.com which serves as an information and updates hub for our customers and interested parties. Please also follow our social media channels and for the most up-to-date news, follow @ionicon on Twitter. If you want us to deliver our updates to your inbox approximately once a month, please sign-up for our free newsletter. Last but not least, why not visit the beautiful city of Innsbruck – the capital of the Alps – and include a showcase in the IONICON lab on your tour through Austria or meet us at one of the many events we attend as exhibitors or contributors to the scientific program. Lukas Märk started his professional career at Ionicon Analytik GmbH in 2005 as Marketing & Sales Manager for PTR-MS instruments. He also served on the board of directors of a big Italian corporation for 6 years. In 2011 he became CEO of IONICON that by then had grown more than two times in turnover and number of employees since when Lukas started. As CEO he is dedicated to new business and market development and after merging and consolidating IONICON with a subsidiary company in 2013, the company has seen double-digit growth in turnover throughout the last three financial years. Lukas studied in Austria and France, holds a Master’s degree in International Business Sciences, and just recently successfully completed an MBA.